Shortly after he went to bed Sunday night, Fred Kuo was awakened by a late phone call. His brother-in-law, who serves in the U.S. Navy, had called to tell Kuo and his wife to turn on their television. They watched as President Barack Obama announced that an American strike force had killed Osama Bin Laden, the al-Qaida leader who masterminded the terrorist attacks of Sept. 11, 2001. Kuo's father was killed that day when United Airlines Flight 175 was crashed by al-Qaida hijackers into the South Tower of the World Trade Center, where he worked at the Washington Group International construction and engineering firm. A day after the president's announcement that the elusive Bin Laden had been found in Pakistan and killed in a fire fight during the American raid, the Fairfield University associate director of university activities was still assessing the impact of the terrorist leader's demise. "I'm honestly not sure what to think," Kuo said. "I know a lot of the images going around are about celebration. It's probably the one thing that I'm not feeling at this point. Nothing can bring my dad back." Kuo's reaction epitomized the ambivalent, pensive responses Monday by Fairfield and Westport residents asked for their reaction to Bin Laden's death. 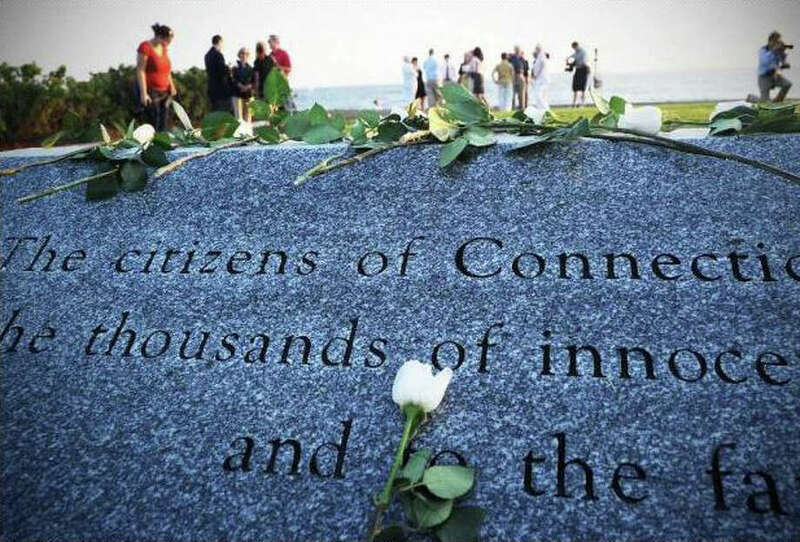 "We're spending the day remembering my aunt rather than focusing on Bin Laden," said Westport resident Karen Ugol, whose aunt was a passenger on the American Airlines Flight 11 that hit the WTC North Tower. "For us, there's never closure, but yesterday was a very good day." About 300 colleagues of Westport resident Mike Jaffe were killed when Flight 11 careened into the 96th-floor offices of the Marsh Inc. insurance brokerage and risk management firm. "I'm obviously very happy that a person who masterminded such pain and loss has been taken out of the world," he said Monday. "At the same time, I think about all of those people who aren't here anymore. While there's some justice, there's no equalizer." Jaffe would have been on the 96th floor when the airliner crashed into the skyscraper had he not arrived at work later than usual that Tuesday morning after having breakfast with his family. Instead, he emerged from the subway in lower Manhattan minutes after the plane hit and saw a gaping hole where his office once stood. "It was like a surreal movie scene," he said. "I just stood there rocking back and forth for a few seconds. So many thoughts were coursing through my head." Westport Fire Chief Christopher Ackley and Deputy Chief Jon Gottfried were deployed in the days after the attacks, respectively, to assist New York City firefighters in search-and-rescue operations at Ground Zero and with the hazardous-materials team operations at Randall's Island. "It brought back some pride," Ackley said of Bin Laden's death. "I think that really has to irritate the terrorists when they see our people chanting and cheering the way they do when they carry out a terrorist event." Gottfried described the al-Qaida figurehead's killing as "justice." But he said Bin Laden's death also brought back painful memories from the aftermath of the 2001 attacks. "Words couldn't describe what it was like to be down there at Ground Zero," he said. "I remember when I came home, I was pretty distraught." Fairfield Fire Chief Richard Felner also recalled the ruins he saw in lower Manhattan in the days after the attacks. About 20 Fairfield firefighters participated in search-and-rescue operations at Ground Zero. "You can never replace the firefighters, the police officers and the medical workers who died that day, and how their families suffered," he said. "We can't forget that." But Bin Laden's death also produced patriotic pride. "We're very impressed with the U.S. military," Ugol said. "We should also focus today on our great country that was able to do this." Kuo also noted the historical significance of Bin Laden's death. "It feels like a page has been turned, he said. "There's still a lot more that needs to be done. It's up to all of us to figure out our place in bringing people closer together." Fairfield Police Chief Gary MacNamara, acknowledging that two of Bin Laden's co-conspirators spent a couple of nights in a Fairfield motel in May 2001, said, "I'm very satisfied that an individual that killed that many law enforcement is brought to justice. But the attack on our country transcends that. It's the collective hole that attack represents. "Every single life lost is what matters ... so we as a country should be happy that a man responsible for that many murders has been brought to justice." Following the conspirators' Fairfield stay, they and other operatives moved to Paterson, N.J., and rented a one-room apartment. As the summer approached, the lead operatives settled in Florida and New Jersey, waiting for the rest of their contingent to join them, according to the report from the National Commission on Terrorist Attacks Upon the United States. MacNamara said it was only after the Sept. 11 attacks that he and the rest of the Fairfield Police Department learned that men involved in the terrorist plot stayed in Fairfield a few months before assembling the "muscle-hijackers" who would storm the plane cockpits and overtake the passengers that day.